The St. Louis Cardinals system went 3-1 on Wednesday. Player of the Day Evan Guillory pitched a gem for Peoria and Wilfredo Tovar’s bat powered Memphis to a win. Palm Beach won behind a strong relief effort and Ryan McCarvel’s home run. Recaps of games played on Wednesday, May 30. Backed by shortstop Wilfredo Tovar’s clutch night at the plate, the Redbirds defeated the Baby Cakes, 3-2, in New Orleans on Wednesday. Tovar was 2-for-4 with a double and a home run and knocked in all three Memphis’ runs. Third baseman Patrick Wisdom and first baseman Luke Voit scored on Tovar’s two-run double in the sixth inning. Tovar’s fourth homer of the year was a solo shot in the ninth that put the Redbirds ahead for good. Wisdom’s single extended his career-best hitting streak to 15 games. Daniel Poncedeleon picked up his fourth victory in six decisions with six innings of one-run ball, during which he struck out eight batters. Andrew Morales logged two perfect innings with three strikeouts. Edward Mujica, although he allowed a run, secured the win and his second save after recording the game’s final three outs. Thursday’s game: Dakota Hudson (6-1, 2.30) at New Orleans Baby Cakes, 7:00 PM Central time. 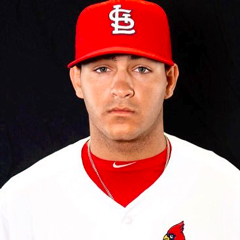 The Hooks got to Cardinals starter Jake Woodford early, piled it on late and rode their success to an 11-4 victory at Springfield’s Hammons Field. Woodford recorded just two outs and threw 35 pitches as the Hooks put up four runs on six hits, including two home runs. The short, unsuccessful start ballooned Woodford’s earned run average to 4.58 and dropped his record to 2-6 this season. 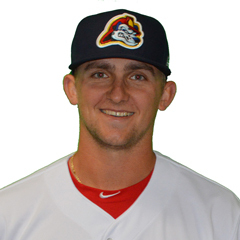 Ian McKinney turned in 5 1/3 innings of relief and struck five batters, allowing one run – a solo home run in the fifth. Colton Thomson yielded four runs in the seventh inning. Estarlin Arias pitched the eighth and ninth innings and allowed a two-run homer. If you’re keeping track, that was 11 runs for the Hooks; 10 scored on five home runs. Right fielder Thomas Spitz led Springfield’s offense, going 2-for-3 with a two-run long ball, his third home run of the year. Third baseman Evan Mendoza and designated hitter Granden Goetzman each batted in a run. Springfield’s lineup collectively fanned 10 times and went 2-for-8 with runners in scoring position. 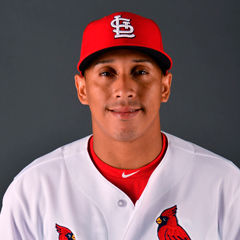 Thursday’s game: St. Louis’ Carlos Martinez will make a rehab start. He will face the Corpus Christi Hooks at 7:10 PM Central time. With a timely home run and strong bullpen work, the Cardinals were 4-3 winners over the Stone Crabs. Palm Beach backstop Ryan McCarvel hit his third long ball of the year in the bottom of the fourth inning. The three-run shot put the Cardinals ahead for good. Center fielder Chase Pinder had two hits and drove in Palm Beach’s other run with a two-out triple in the second. Evan Kruczynski allowed three runs in his four-inning start before a shut-down relief crew took over on the mound. Eric Carter, who picked up his first win of the season, allowed one hit as he put up zeroes in the fifth and sixth innings. John Kilichowski pitched a scoreless seventh, and Will Latcham earned a two-inning save with clean eighth and ninth innings. 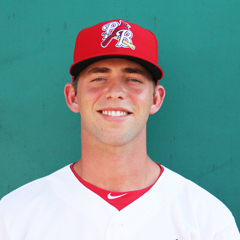 Thursday’s game: Jake Walsh (0-1, 5.40) vs. Charlotte Stone Crabs, 5:30 PM Central time. Backed by Evan Guillory’s seven dazzling innings, the Chiefs enjoyed a 5-0 victory over the Bees. Guillory, our Player of the Day, allowed one base hit and two walks across seven shutout frames. Earning the win, Guillory improved to 5-3 as his ERA dropped to 2.74 in 62 1/3 innings for the Chiefs. In relief, C.J. Saylor logged two frames and allowed Burlington’s second and final base hit. Third baseman Elehuris Montero started the game off on a positive note, as his two-run home run in the first inning proved to be all the Chiefs would need. Center fielder Scott Hurst scored twice, and second baseman Irving Lopez went 2-for-4 with two doubles – his 12th and 13th of the season. Thursday’s doubleheader: The Chiefs will start a pair of right-handers, Kodi Whitley (3-0, 4.15) and Levi MaVorhis (1-0, 4.74) in Thursday’s doubleheader with the Burlington Bees. The first game is scheduled to begin at 5:00 PM Central time. Join The Cardinal Nation for the most comprehensive coverage of the St. Louis Cardinals from the majors through the entire minor league system. Annual members may purchase our new 193-page 2018 Prospect Guide for less than half price. Our limited edition printed edition is sold out.